Hi! 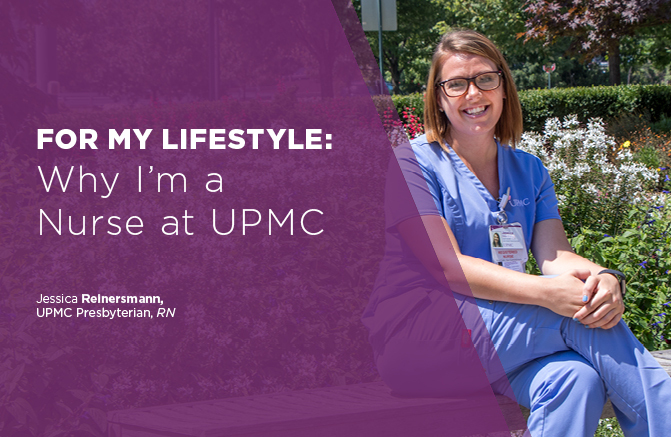 My name is Jessica Reinersmann and I am a nurse at UPMC Presbyterian. 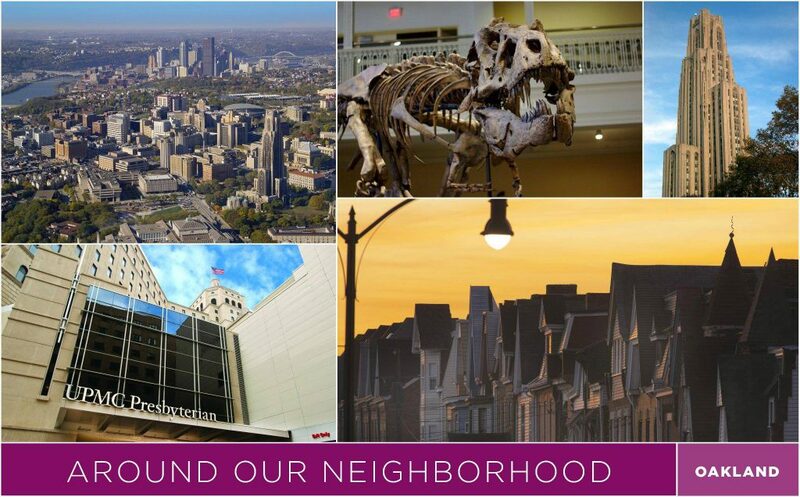 UPMC Presbyterian is UPMC’s original and oldest hospital and is located in the heart of one of the busiest sections of Pittsburgh — Oakland! Oakland is home to several of Pittsburgh’s universities and many of UPMC’s hospitals, which is why many people deem The Steel City a place for “eds and meds” (education and medicine!). Pittsburgh is a great place to live, and Oakland is a great place to work. Working in the city makes my commute convenient, and the lively atmosphere keeps things interesting. While my career at UPMC is something that keeps me busy each day, busy doesn’t mean bad! Even though my days are full of activities, whether at work or at home, I’m finding that my nursing career and my life are advancing towards the place I want them to be. Besides being a nurse at “Presby,” I am currently enrolled in an online RN-BSN program. While a lot of my spare time goes towards that, I also find time to seek balance and rest outside of work. I enjoy working out, spending time with my family and friends, and relaxing. To achieve a good work-life balance, I try not to let work interfere with my home life, but some days can be harder than others. It’s always nice to go home and relax after a long day. Life as a nurse is hard work, but the reward is knowing I get to be part of a place with an important mission: to provide care and Life Changing Medicine to all patients who find their way to our facility. UPMC has helped to establish the nurse that I am today. While work doesn’t define me, it does make up a huge part of my life. Thankfully, I am in a position where I continue to learn something new each day and am empowered to advance further in my career. Best of all, I work with great people I am lucky to call my friends.